You probably have all these inventive ideas to create a software application for your IT project. But not so fast, before you can begin implementing your project, you must first propose one. This simple proposal must be approved by the necessary parties to ensure that your project will be put to good use once finished. You can be the most skillful IT specialist in the world, but without the ability to sell your idea, your plans will be as good as nothing. Why are project proposals important? As a student, project proposals seem like a burden to create. They consume most of our time and energy when we could’ve been using these resources to develop the actual project. But what happens after you’ve spent a couple of months on a simple project, only to find out it doesn’t meet the necessary standards to pass the course? The same goes for projects made in the real world. Clients and other investors won’t be interested in what you have to offer if it doesn’t meet their desired requirements. This is why project managers must first make a business proposal for their plans and have it approved, before they can carry on with the development procedure. This way, you won’t be wasting your resources on a useless product. 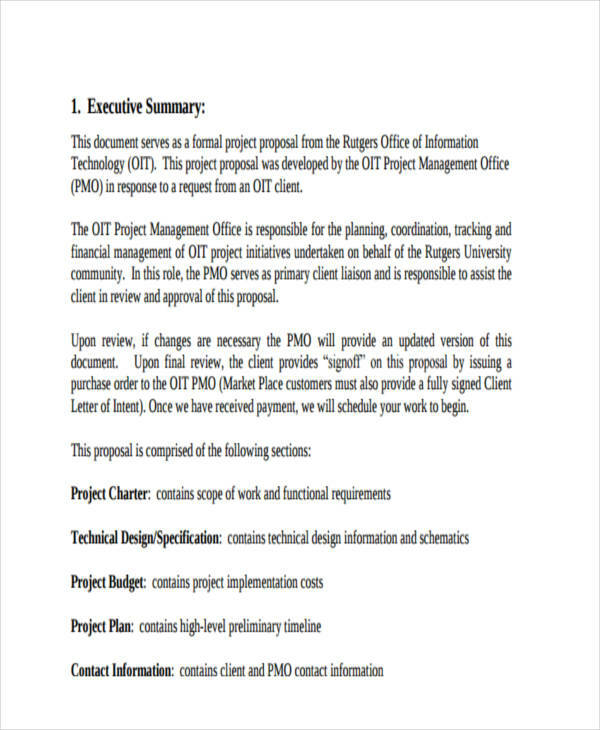 Project proposal are formal documents that are made after an intense process of research and analysis. Proponents must create a convincing proposal based on facts that support their solution. You need to show why a project is viable and how the department or field of study may benefit from it. The proposal should explain exactly what you are going to do, how you’re going to do it, and what the results of the process will be for stakeholders to take into account. The benefits, along with the funding and resources required to get the job done should also be indicated in the proposal. This will serve as a basis for their decision, and if it satisfies their needs, your professional proposal is likely to be approved. Writing a project proposal is not an easy process. You’d spend most of your time studying, data gathering, writing, and editing until your fingers start to bleed, or at least, it almost feels that way. 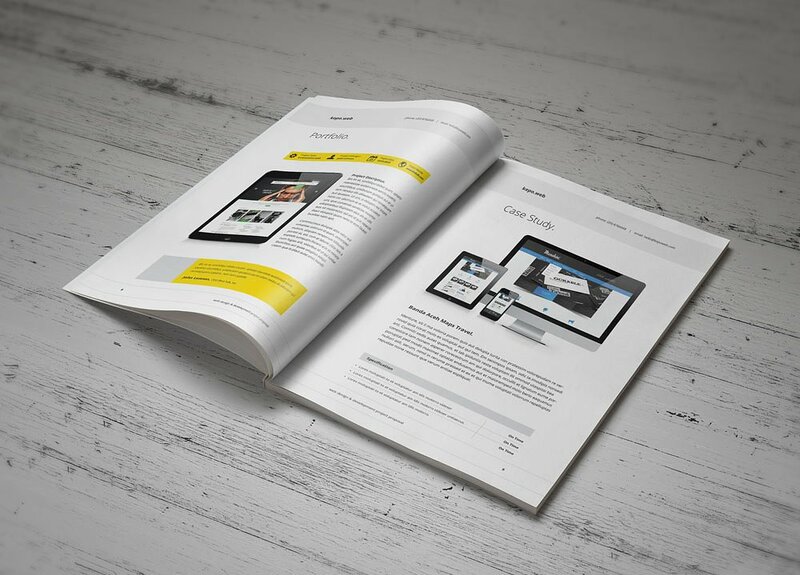 But before you can jump into creating the content of your document, let’s discuss the specifics you’ll want to address when writing the proposal. Having a paperwork trail that shows your progress so far can serve as a guide to ensure you’re on the right track. This is why you need to be exact in listing what you want to achieve and when you hope to accomplish such. Deliverables for an IT project usually consists of pure paperwork and the actual system being developed. These are basic requirements that must be completed and produced over the life cycle of a project. Although you aren’t completely certain whether your project will be approved, you still need to think and general plan ahead as per requirement. Since we’re only at the proposal stage of the process, the only items you would need to secure are the necessary documents to support your plan. This must be detailed enough for team members and panelists to be guided. Every project has a beginning and an end. Those two points will be used as a basis for creating the time frame for your project. In between the two are the project phases, made up of milestones, which are then broken down into smaller, more manageable tasks for you to fulfill. 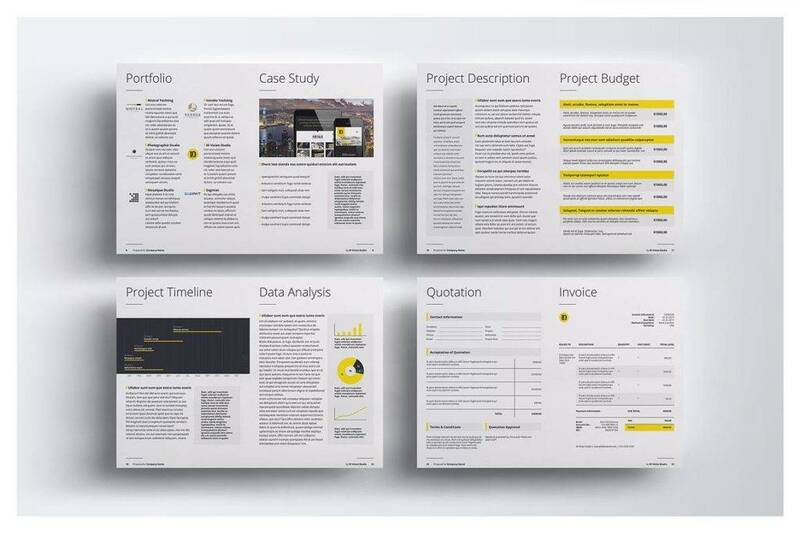 You may also see software project proposal examples. You can refer to these milestones to assess how far along you are with your project, and whether your progress is going as planned. The time it takes to complete your project is called a timeline. Furthermore, it’s best to use a scheduling method to keep you on track. Most project managers recommend using a digital Gantt chart that may be viewed and shared among the team. This will also make it easier to monitor each member and their deliverables completed. To reach each milestone on your project timeline, you would need to have the necessary resources to get it done. This includes your team members and the equipment used throughout the procedure. The financial factor of the project is a crucial part of your general proposal. You need to calculate the amount of money needed to cover the said resources, and make sure that clients or investors see a return on this investment. It’s also essential to show the roles and responsibilities of each member for stakeholders to be aware of who’s accountable for what. Each member has a role to play, and a cost that comes with it. 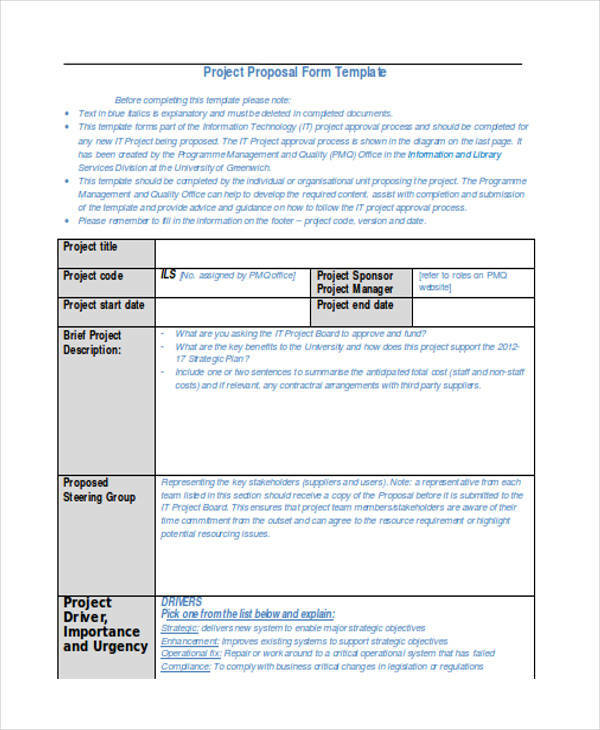 Although a project proposal may vary depending on its specific purpose, there are a few things that every proponent must know about its format. 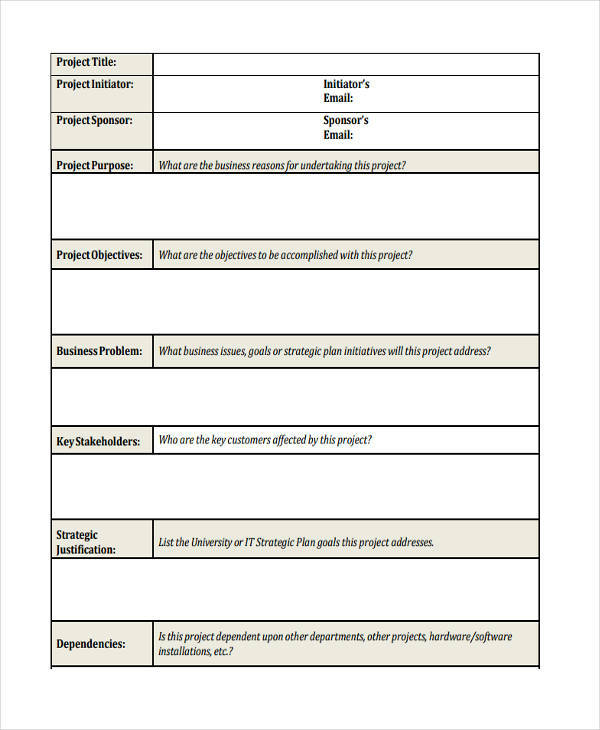 The executive summary of your proposal is where you make your elevator pitch. This is the part that most prospects read first before they decide to turn the page. This should provide a general overview of the entire document for readers to grasp. The key is to make it compelling enough to engage readers, while not giving out too much detail that might lengthen the pitch. Focus on important points that stakeholders may be interested in, such as the problem or need for the project and your proposed solution. Aim for a one-page summary to keep this section as brief and concise as possible. The review of related literature or study is another important chapter to note down. Most proponents use this section to show other related projects that have been used as a basis for the one they’re proposing. Here, you need to be thorough with your discussion to address potential questions stakeholder might have. 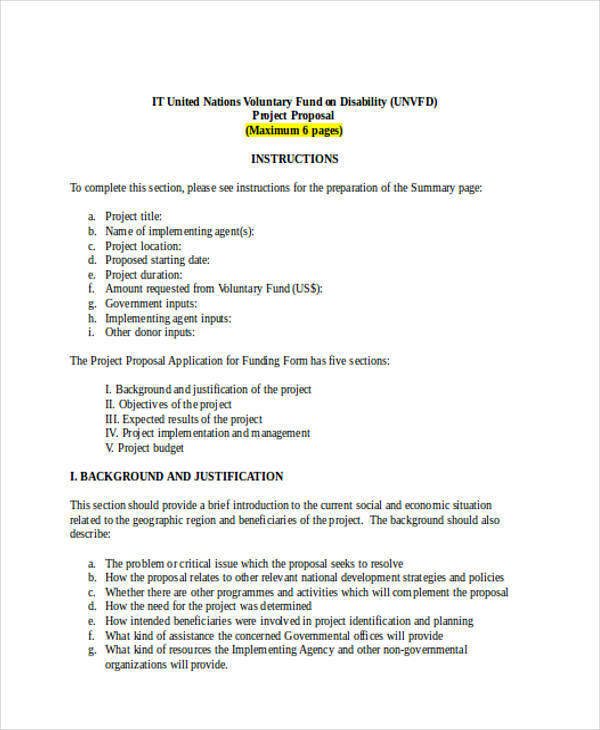 You may also see how to write a proposal for a project. Identify the problem that you’re addressing with your project. It should be defined clearly enough for readers to comprehend properly. You should also have the right details to support your case. How do you propose to solve this problem? 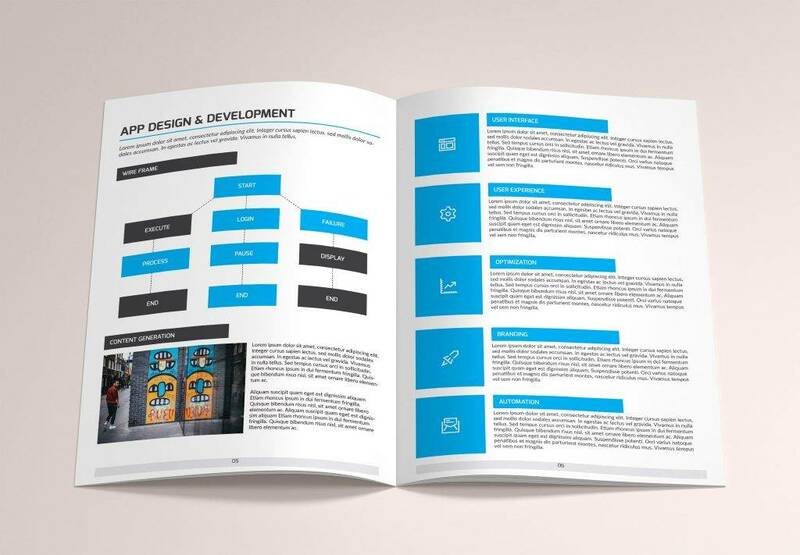 The scope and deliver of your solution should be explained clearly in this section. The limitations of your project must also be defined for stakeholders to consider when making their decision. You may also like final year project proposal examples. Once you have completed your project, now is the time to put all your hard work to the test. Most project proposals have to be approved by a panel of experts before the project may carry through. This can be a nerve-wracking experience for the proponents, considering how most panel members are actual professionals in the field. So if you’re doing a proposal defense for an IT project, you’re likely to come face-to-face with IT instructors, software engineers, and senior developers. 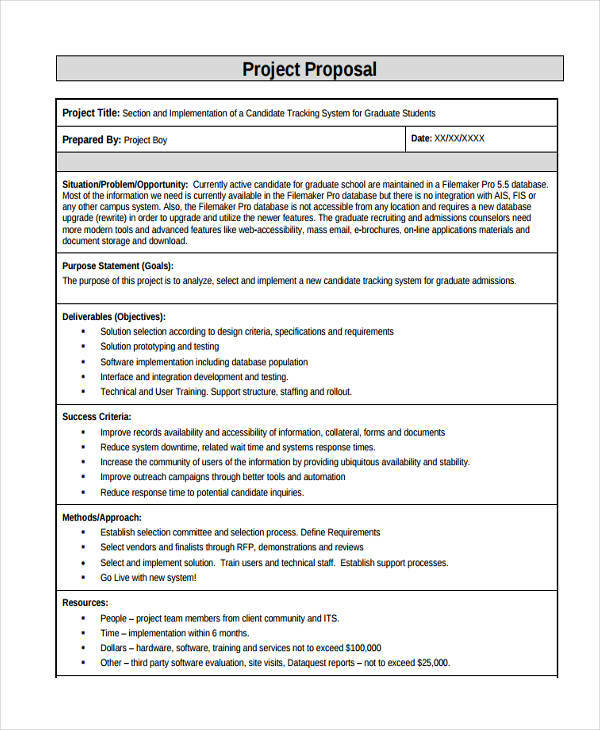 You may also see project proposal outline examples. With your proposal defense date fast approaching, you need to make sure that you and the rest of your team are prepared for what’s to come. 1. Plan out your presentation. Meet up with your teammates days before your defense date to plan out your presentation. Discuss the exact sequence of the presentation from start to finish. Each member should have a designated part to discuss before the panel, so make sure to assign everyone with their topics so that they could practice their speech on their own. Since a proposal defense usually requires a PowerPoint presentation, you can use this as your guide. Each member should know when to enter in order for the presentation to run smoothly. You may also like development project proposal examples. As for the slides of your PowerPoint presentation, make sure to emphasize only the most important points of your proposal. Each slide should be kept brief and concise, using one-line statements arranged in bullet points to keep it organized. It’s also a good idea to use pictures and illustrations to enhance your presentation and keep the panelists entertained. You may also check out research project proposal examples. 2. Study your document thoroughly. You don’t want to seem vulnerable during your defense. Anything you do or say will be used against you, so if you mention something that goes against what is written on your proposal, then panelists will see this as an opening for a series of merciless questions. You might be interested in multimedia project proposal examples. Do your homework. Master the part you will be presenting, and make sure you have familiarized the rest of the document. Since you are one of the authors of the standard proposal, understanding the topic and your proposed solution should already be a given. Some panelists also allow the use of flash cards or index cards during the defense. If so, note down important points that you wish to emphasize during your presentation. 3. Conduct a mock defense. Organize a mock defense and invite other people to act as your audience. This will help you practice for your presentation on the actual defense date. You can also let your audience come up with possible questions to ask. Make sure these questions are relevant to your study, and be open to answering difficult questions that the panelists is likely to ask. You may also see capital project proposal examples. You can also note down these questions and work together to find the best answer. This way, all of you would know exactly how to respond in case one of you were asked by a panel member. Practice your presentation together, and ensure that everyone knows what to do and how to act. You need to work as a team to end triumphantly. You may also like service proposal examples. 4. Prepare the necessary documents and materials in advance. Have everything ready and good to go a day before your defense date. Copies of the proposal, panel tokens (food, money, etc. ), and a copy of your presentation should be checked before you meet with the panel. You also have to be prepared for the worse possible scenario, as you wouldn’t want any shortcomings to ruin your chances of passing. You may also check out research proposal examples. For instance, the projector in the room may not be compatible with your laptop, or worse, your flash drive is corrupted causing you to lose all your important files in an instant. Factors like these may delay your defense, and your panelists are bound to grow more impatient with each passing minute. You might be interested in short proposal examples. To prevent circumstances like these, secure extra copies of each file. All of your members must have a copy of the presentation in the event of an emergency. If possible, try bringing an extra laptop and chord to connect to the projector just in case. 5. Come to the venue extra early. Set your alarm extra early on your defense date. You must have enough time to get dressed, pack your things, eat a healthy breakfast, and meet up with your team before the defense starts. Getting stuck in traffic is another obstacle to avoid, so make sure to leave the house a lot earlier than usual. 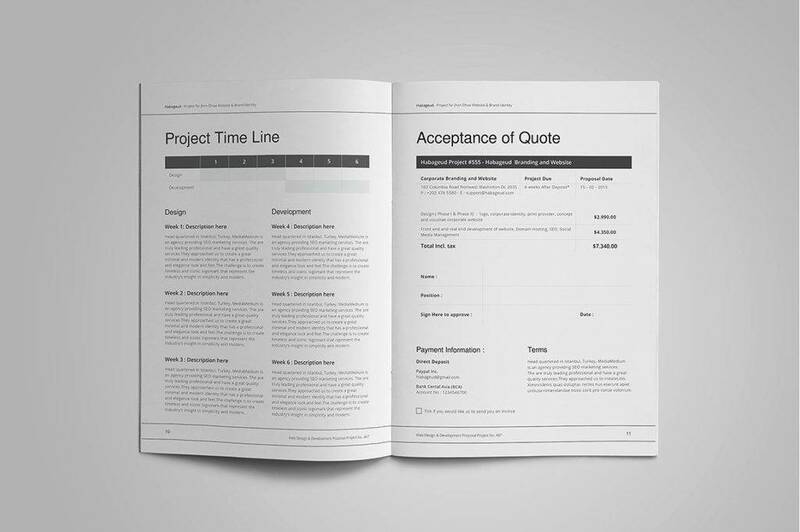 You may also see freelance proposal examples. 6. Wear the proper attire. In most cases, you would need to wear a semi-formal or business attire for the defense. Not only is this a requirement for the occasion, but it can also make you feel more confident and it can give your audience a good impression of you. To make things more interesting, you and your team can choose outfits that complement one another. This expresses formality and unity as a group. Readable name tags are also another accessory to secure. You may also like fundraising proposal examples. Chin up. Chest out. Proper posture depicts confidence. Even if you aren’t entirely sure how to respond to a question, answering with confidence shows how much faith you have in your answer and in your proposal. You may also check out security proposal examples. Stuttering and dead air should also be avoided, as this would only raise further questions and feelings of doubt among panel members. Be honest with your panel, and in case one of your members fails to answer a question correctly, prepare to step up.